AWL Corporation will be more than happy to provide you with a quote. AWL Quotes do require some information as outlined in the form below. 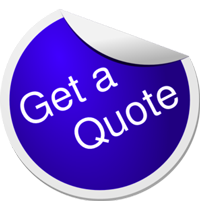 We will be happy to answer any questions that you may have regarding your quote request as well, fill in the box marked Comments / Questions and we will get back to you as soon as possible. You may also contact us by clicking here. Just fill out the form below with all of the required information. Please make certain to populate the fields to include information for each piece of cargo that you are wanting to ship. Please include the description for each piece of cargo that you are wanting to ship here.